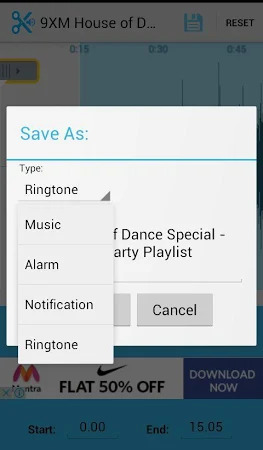 MP3 Cutter and Ringtone Maker is free Music Editor app creates ringtone, alarms, and notifications from different audio formats such as MP3, WAV, AAC/MP4, 3GPP/AMR. Key features: Supports MP3, WAV, AAC, AMR and most other music formats. Record an audio/music for editing. Easy to preview and play all the output ringtone list. 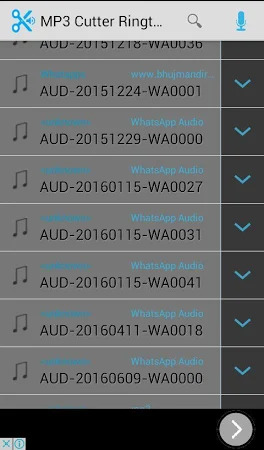 Free to manage your ringtone files. 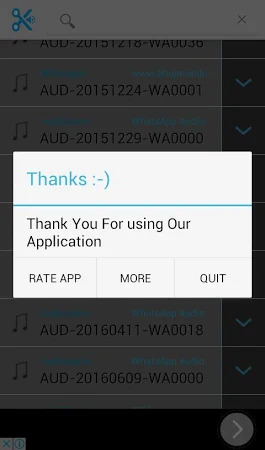 The download of this application is safe and secure. RC Developers created the app that lies within the Music & Audio category. 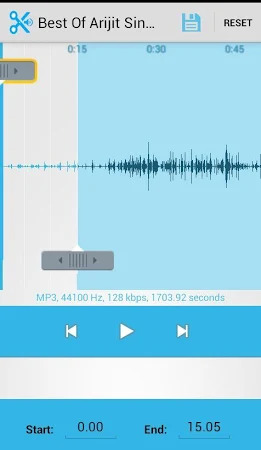 Mp3 Cutter & Ringtone maker has been downloaded and installed by over 0,5K users and its most recent update is dated Jul 4, 2016. The overall score for the tool is 3.7 on Google Play. There are adverts in this application. 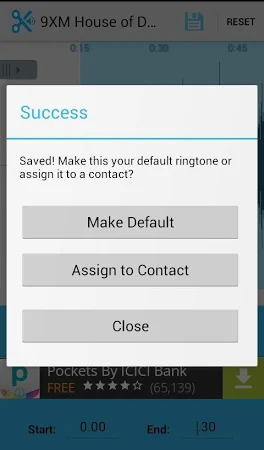 You can download the setup package of Mp3 Cutter & Ringtone maker 1.1 free of charge and take a look at users' reviews on Droid Informer. The app runs on Android 3.0 and higher. ¿Cansado de escuchar lo tonos, sonidos, melodías, ringtones mp3 normales.